Excluding that gross No Dough Zone because this isn't a f**king joke. This one speaks for itself. If you’re trying to eat low-cal, why are you even ordering D.P. Dough in the first place? The WTF zone. Since when are pineapple and pesto a thing? Please, tell me more about how healthy you are. 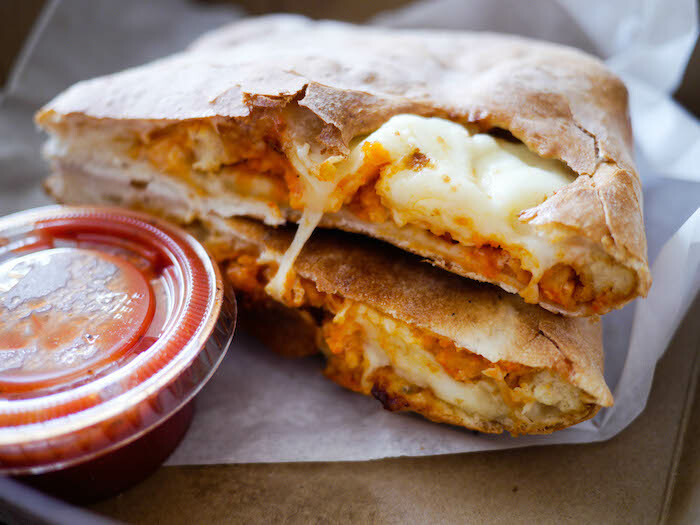 Some things are best kept in their sandwich form. For all my basic b*tches. Teriyaki Chicken? Yes. 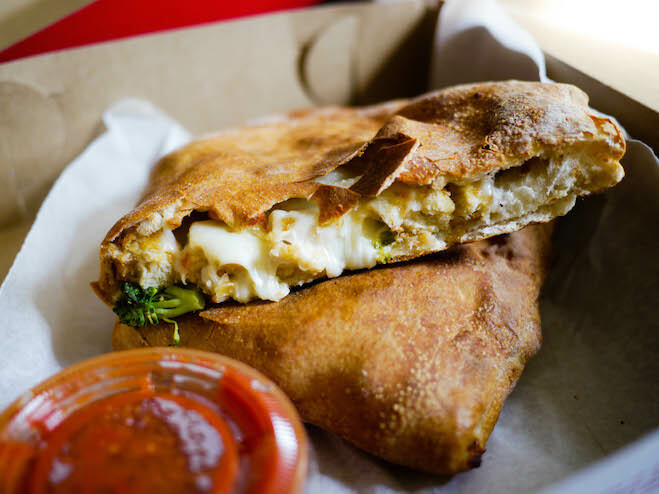 Teriyaki Chicken Calzone? No. If the Greeks and Romans made a food baby, this would be it. 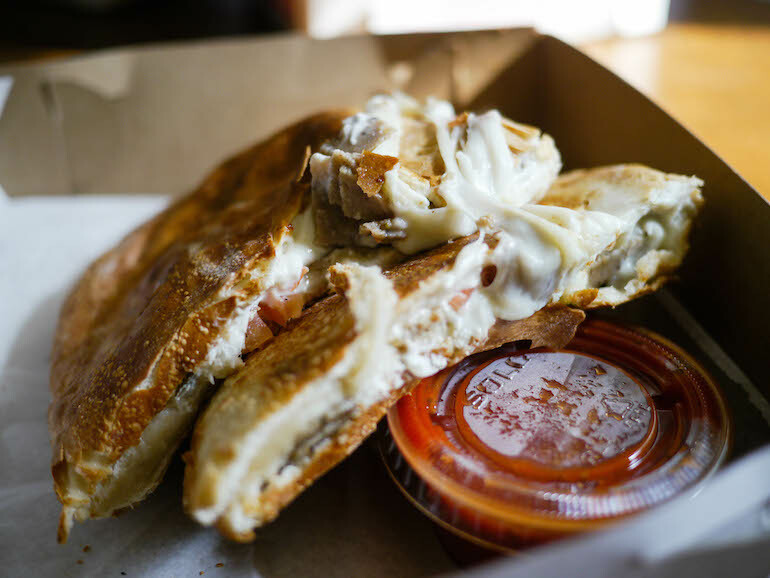 A glorified, grilled ham and cheese sandwich, complimented by marinara dipping sauce. Perfect for rainy day munchies. So, the line for cheesesteaks was too long. Time to rally. 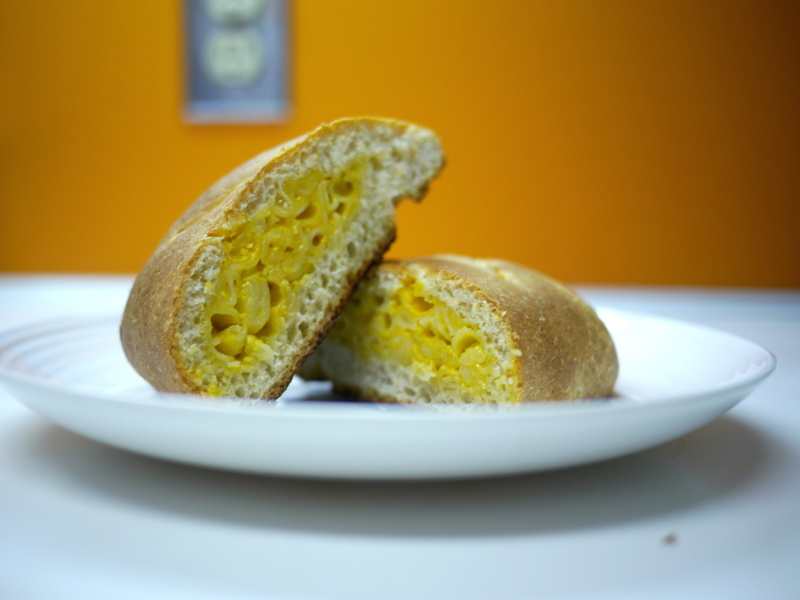 You had me at macaroni and cheese. Three words: Chicken. Bacon. Ranch. 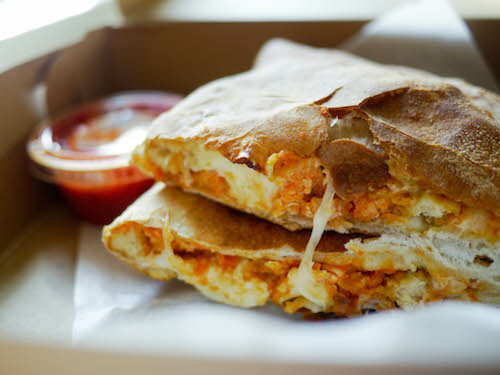 When you thought buffalo chicken couldn’t get any better, they threw it in a calzone.